This is how the story plays out for all of us….. It is my belief that karma originates in intent, not in actions. Intent guides actions and karma follows suite. 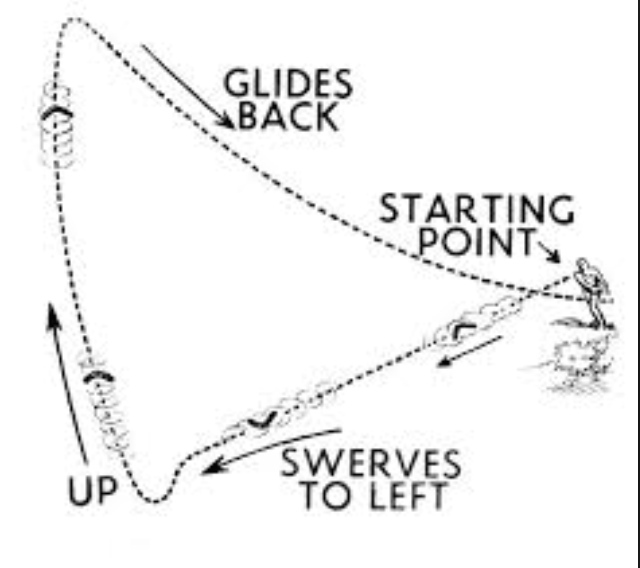 It is a smooth simplistic process, much like throwing a boomerang. This is something very deeply personal I am sharing with you without details from a bird’s eye view. It may trickle down and give some of you pause, as it should. No one escapes karma. Imagine a boomerang and an aboriginal man in the desert of Australia. He throws his boomerang out into the open air. He is practicing his hunting skills. He is a provider for his family. His aim is true, steady, and his intent is just. Jordon is this man. The boomerang hits its target and returns home by gliding and landing firmly in his hands. Karma works the very same way. Intent. Action. Return. Conversely, another man with anger and resentment in his heart is going out to throw his boomerang. Denial of his past. Self-rightousness. Bad communicator. Blaming others. Bad intent, even if the outcome turns out well, still starts with bad intent. It is the same act with a different outcome and vastly different karma. Here’s the hidden truth that you cannot run from. 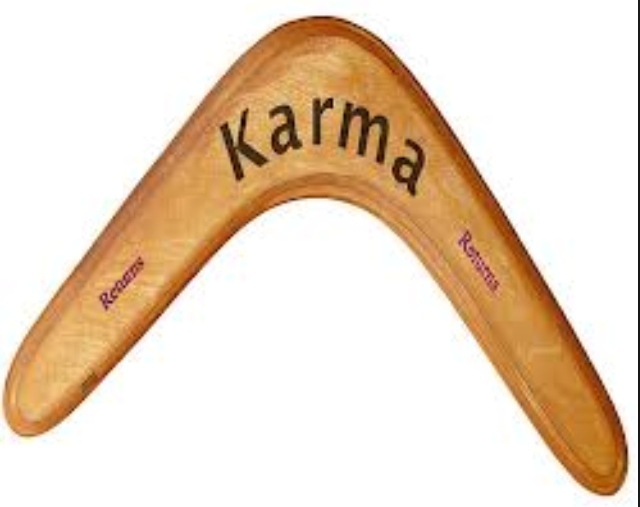 The boomerang knows your intent. And the boomerang is karma. If you have bad intensions, but follow with good outwardly-appearing actions you will still have to deal with the boomerang. Unfortunately, if your intentions originate in goodness, but somehow go awry, then you are a couple of notches up, but you will still feel the effects. It’s like punishing a good kid to help them remember right from wrong. It’s done in their best interest.The boomerang is also a teaching tool. Now, both men are walking back from their practice in the sand. The clearing and purification of our thoughts and intent is a good investment for us to make in our lives. 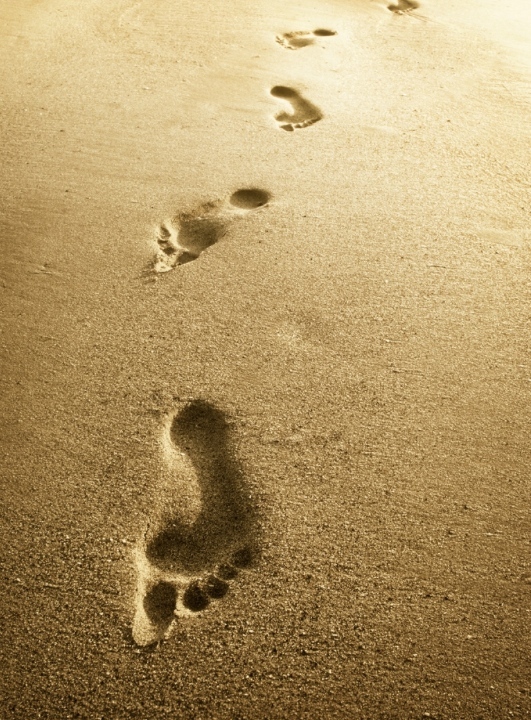 One of the best gifts we can give ourselves is to look back at our footprints. What do our footprints look like in other people’s lives- the lives of our children, our families, our friends and co-workers? Are the prints showing up beside them or did we walk on them? Did we walk away? Did we carry them? Did we stomp on their hearts by telling them they would never amount to anything and leave lasting scars? Did we play footzies in the sand with them and say “I love you’s” all the time? Deflection, avoidance of the truth, and non-communication show foot prints moving out into the desert. It is hot there and the sand burns. Good intent followed by positive actions puts one’s feet on the cool grass in the middle of a meadow on a spring afternoon.